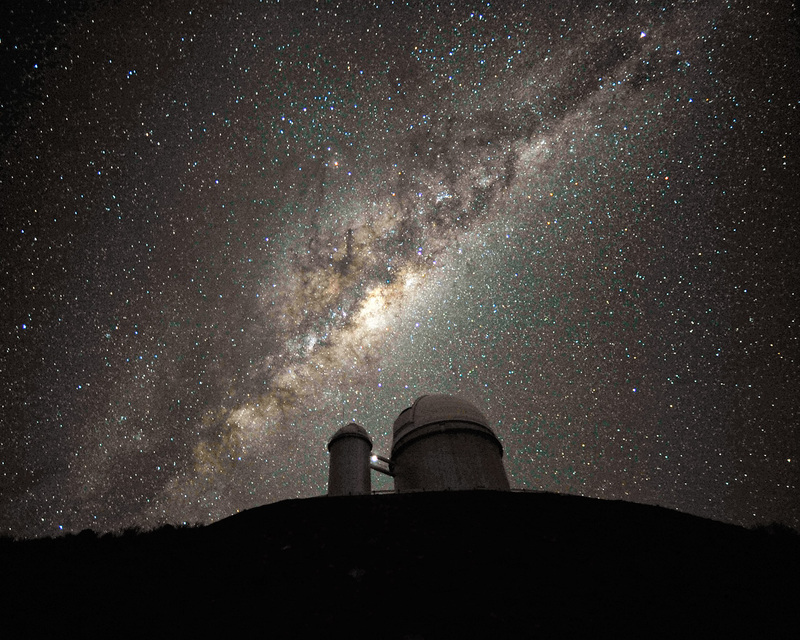 The ESO 3.6-metre telescope at La Silla, during observations. The Milky Way, our own galaxy, stretches across the picture: it is a disc-shaped structure seen perfectly edge-on. Above the telescope´s dome, here lit by the Moon, and partially hidden behind dark dust clouds, is the yellowish and prominent central bulge of the Milky Way. The whole plane of the galaxy is populated by about a hundred thousand million stars, as well as significant amounts of interstellar gas and dusts. The dust absorbs visible light and reemits it at longer wavelength, appearing totally opaque at our eyes. The ancient Andean civilizations saw in these dark lanes their animal-shaped constellations. By following the dark lane which seems to grow from the centre of the Galaxy toward the top, we find the reddish nebula around Antares (Alpha Scorpii). The Galactic Centre itself lies in the constellation of Sagittarius and reaches its maximum visibility during the austral winter season. 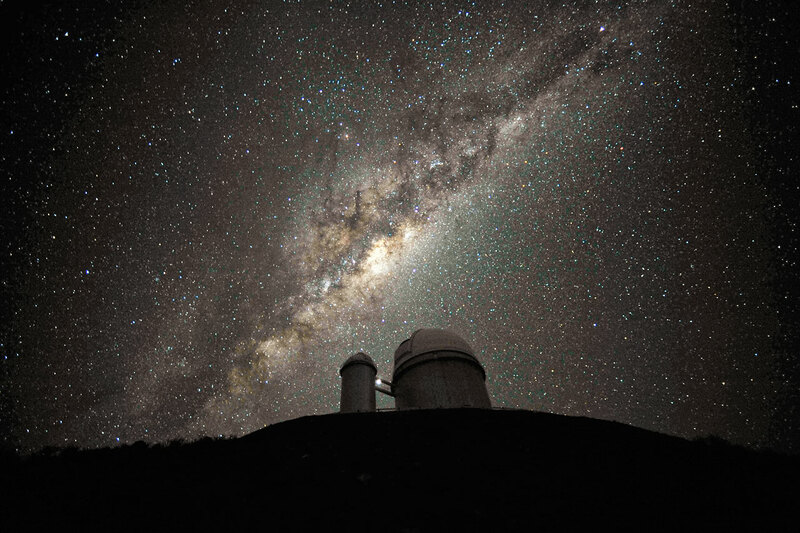 The ESO 3.6-metre telescope, inaugurated in 1976, currently operates with the HARPS spectrograph, the most precise exoplanet “hunter” in the world. Located 600 km north of Santiago, at 2400 metres altitude in the outskirts of the Chilean Atacama Desert, La Silla was first ESO site in Chile and the largest observatory of its time.